"Brilliantly original." - The Seattle Times "The audience was on its feet . . . They were moved by Mr. O'Connor's journey without maps, cheering for the only musician today who can reach so deeply first into the refined, then the vernacular, giving his listeners a complex, sophisticated piece of early-21st-century classical music and then knocking them dead with the brown-dirt whine of a Texas fiddle." - The New York Times A product of America's rich aural folk tradition as well as classical and flamenco music, Mark O'Connor's creative journey began at the feet of a pair of musical giants. The first was the folk fiddler and innovator who created the modern era of American fiddling in the 1940's, Benny Thomasson; the second, French jazz violinist, considered one of the greatest improvisers in the history of the violin, Stephane Grappelli. Along the way, between these marvelous musical extremes, Mark O'Connor absorbed knowledge and influence from the multitude of musical styles and genres he studied. Now, at age 47, he has melded and shaped these influences into a new American Classical music, and a vision of an entirely American school of string playing. As The Los Angeles Times warmly noted, he has "crossed over so many boundaries, that his style is purely personal." His first recording for the Sony Classical record label, 'Appalachia Waltz', was a collaboration with Yo-Yo Ma and Edgar Meyer. The works Mr. O'Connor composed for the disc, including its title track, gained worldwide recognition for him as a leading proponent of a new American musical idiom. The tremendously successful follow-up release, 'Appalachian Journey', received a Grammy Award in February 2001. With more than 200 performances, his first full length orchestral score "Fiddle Concerto" has become the most-performed modern violin concerto. "Fanfare for the Volunteer," recorded with the London Philharmonic Orchestra under the baton of Steven Mercurio, was released by Sony Classical in October 1999. "The Newark Star Ledger notes: "As a composer, he understands the power of a thematic transfiguration and development throughout a 40-minute work." In April 2000, Mr. O'Connor premiered his 4th violin concerto "The American Seasons: Seasons of an American Life," at Troy Music Hall in Troy, N.Y. The work was commissioned to celebrate the 20th anniversary of the hall's concert series. The New York Times said "... if Dvorak had spent his American leisure time in Nashville instead of Spillville, Iowa, 'New World Symphony' would have sounded like this." The American Seasons was recorded with the Metamorphosen chamber orchestra and released in 2001. Following the work's release, a 30-city national tour with Metamorphosen learned universally spectacular reviews. Richard Dyer of the Boston Globe called the work "concise, lyrical and irresistibly rhythmic." Wayne Gay of the Fort Worth Star-Telegram said, "The American Seasons is destined to rank among the greatest masterpieces of American music...the first musical masterpiece of the 21st century." The work was nationally broadcast New Year's Day 2002 on PBS stations, paired with Vivaldi's "Four Seasons." In August 2000, Mr. O'Connor's 3rd concerto, "Double Violin Concerto," received its premiere with Nadja Salerno-Sonnenberg and the 2nd violin soloist and the Chicago Symphony, Christoph Eschenbach conducting. In November 2003, Mr. O'Connor and Ms. Salerno-Sonnenberg recorded the work with Marin Alsop conducting the Colorado Orchestra. Fanfare enthusiastically writes: "All aficionados of the violin and all listeners in general will pass up this recording at their peril. The very highest commendation." In June 2001, Mr. O'Connor released Hot Swing! a tribute to his great friend and mentor, the legendary French jazz master, Stephane Grappelli. Released on his own OMAC label, the CD was recorded live with Frank Vignola on guitar and Jon Burr on bass. The Chicago Tribune called it "one of the finest discs of his career and one of the greatest jazz violin albums ever." A new Hot Swing CD entitled 'Live In New York' has been released, as well as a new group line up for concerts with original member Frank Vignola on guitar, and new to the ensemble, guitarist Julian Lage, and bassist Gary Mazzaroppi. In 2003, Mr. O'Connor completed his 5th concerto, "Double Concerto for violin and cello" (For the Heroes) and often performs the piece with cellist Maya Beiser and Symphony Orchestra. Also in 2003, Mr. O'Connor was commissioned by the Academy of St. Martin the Fields to compose a concerto for violin and chamber orchestra. Violin Concerto No. 6 "Old Brass" takes its inspiration from a Beaufort, South Carolina plantation designed by Frank Lloyd Wright. The recording conducted by Joel Smirnoff will be released March 10th, 2009. Mr. O'Connor has also formed a piano trio to perform his "Poets and Prophets" composition inspired by the music of Johnny Cash. He often performs it in a collaborative concert concept with Mr. Cash's daughter, Rosanne Cash. Mr. O'Connor has recently formed other ensembles including a String Quartet concert entitled "Evening of Strings" with chamber music legends Ida Kavafian, Paul Neubauer and Matt Haimovitz, performing O'Connor's music exclusively. (The quartets are schedule for release on CD in May, 2009) Last year, Mr. O'Connor brought back to the stage his solo recital, a one-man unaccompanied violin concert which features his six caprices and three improvisations as the centerpieces of the tour de force performance. As word of his considerable compositional talents has spread, Mark O'Connor's musical works have been embraced by a variety of performers. Yo-Yo Ma has recorded the solo cello version of "Appalachia Waltz" and frequently performs it in recital. Renee Fleming has performed and recorded vocal arrangements O'Connor composed for her. The Eroica Trio performs his "Poets and Prophets Piano Trio No. 1" regularly, a piece they commissioned from him in 2003. Sharon Isbin has recorded his duet for violin and guitar, several top classical violinists are performing his "Caprices" in recital, his flute concerto "The Fallen" has been performed by a number of flutists and is slated for recording by Carla Auld, Dance troupes, including Twyla Tharp Dance Co., the New York City Ballet, Alvin Ailey and Hubbard Street Dance Chicago, are staging and choreographing to Mr. O'Connor's expressive American music, and the Baltimore Symphony Orchestra has recently recorded his new Americana Symphony slated for release March 10th, 2009. Mr. O'Connor regularly gives two-day residencies, lectures, demonstrations, or teaches workshops at a variety of prestigious musical programs. Some of his recent hosts include The Juilliard School of Music, Harvard, Rice University, SUNY Fredonia, University Of Texas, Curtis Institute, Berklee College of Music, Eastman School of Music, Tanglewood, and Aspen Summer Festival. Mr. O'Connor will be the Artist in Residence at UCLA for the 2008-2009 season. Mr. O'Connor is the founder and president of the internationally recognized Mark O'Connor Fiddle Camp and Strings Conference as well as the new Mark O'Connor String Camp to be held in New York City in 2009. The Mark O'Connor String Institute at UCLA will debut summer of 2009. Mr. O'Connor resides in New York City. 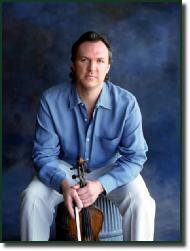 Mark O'Connor was inducted into The National Fiddler Hall of Fame in 2009.